Airport style! I always make sure to dress comfy for extra long flights like this one – comfy jeans, fuzzy pull over and Nikes are always a go to. I love these new Nikes because they zip on and off which makes them perfect for travel! 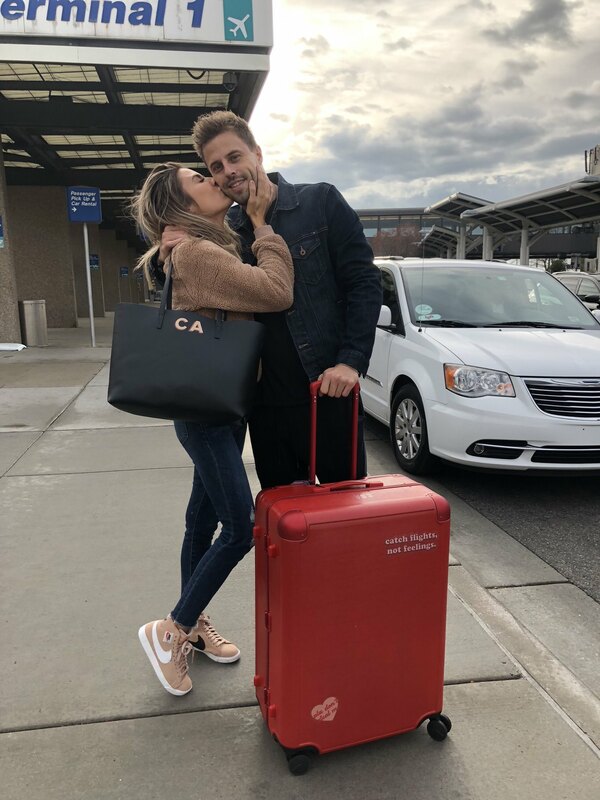 This bag made the perfect carry on and I am obsessed with this new red suitcase! This dress is so perfect for a beach or desert vacation! These are the perfect booties for traveling! So comfy and a good price. These jeweled booties are so amazing, I’m obsessed! How beautiful is this jumpsuit?! This sling bag is so perfect for travel!